Rice is something I always have in my pantry. We either use it to make biryani or it is accompanying one of many Indian curries we enjoy. We have always purchased Basmati rice. We have ventured out to other varieties of rice but Basmati has always been our favourite. 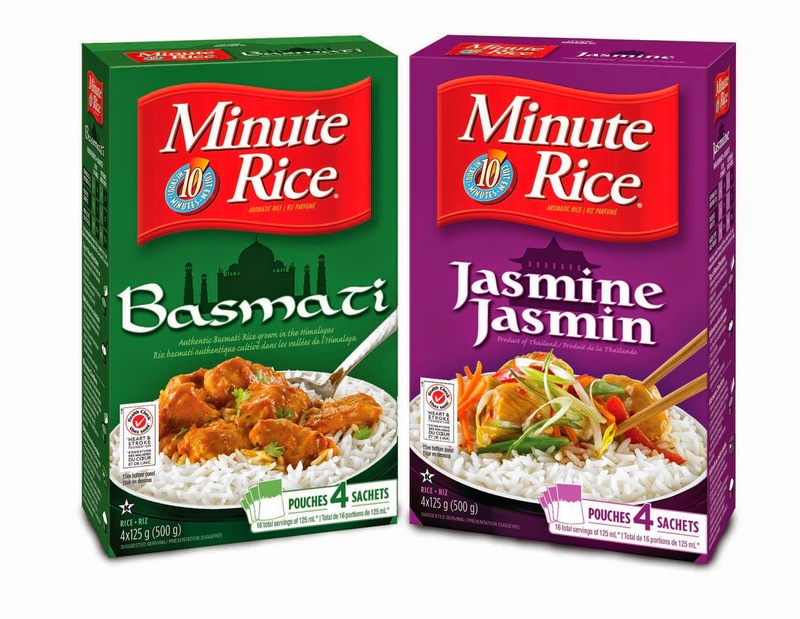 Recently I got the opportunity to try Minute Rice®'s new line of Aromatic Rice. They have Basmati and Jasmine rice. I was excited to try both of them, especially the Jasmine rice as I've never cooked with it before. The instructions on the box says to add water to the rice, bring to a boil, reduce the heat, cover and let cook for about 10 minutes. We normally don't use this method. I usually add the rice to a pot of salted water, boil until tender and drain. We prefer this method as it gets rid of a lot of starch. When I received the Minute Rice® Aromatic Rice, I wanted to first try cooking it using their suggested method. It is a simple and easy method but we found the rice too wet for our liking. I prepared both varieties my usual way and they turned out very well. I decided to do something different with the rice and make Minute Rice®'s Curried Zucchini Soup. The Basmati Rice is used to thicken the soup. Now that it's getting colder I thought this would be a perfect accompaniment to our dinner. The soup uses curry paste which is something I've never used in my cooking. This soup was a hit with adults although the kids weren't on board with this. The soup is a wonderful mix of the curry flavour and sweetness from the apple. We had this with some multigrain ciabatta bread. 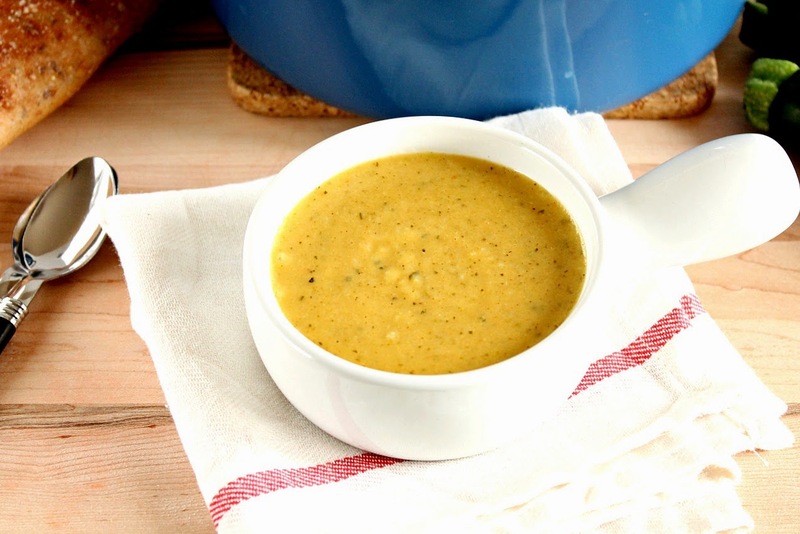 If you make this soup ahead of time, add a bit of water when re-heating as it will thicken up. This was soup was very easy and quick to make. It makes quite a bit so next time I would cut the recipe in half. I've had never used Jasmine Rice before. I made Fried Rice with it and also served it plain with some General Tso's Chicken. Both times it turned out very well. The Jasmine Rice was just like the rice served when we go out for Hakka Chinese. Overall we liked the Basmati and Jasmine Rice. The quality of the rice is very good. I prefer to boil the rice in water and then drain rather than having the rice absorb the water. Each packet is supposed to be enough for 2 servings. We found that we needed more. As we eat rice about once a week this box wouldn't last long. I personally didn't like the individually wrapped portions. For someone that is single and does not eat rice often, the individual packets would be a good idea and very convenient. However, for a family I felt that it was a waste of packaging. Now for the giveaway! Minute Rice® has generously offered to give one Chocolate & Chillies reader 36 boxes of Minute Rice® Aromatic Rice! Please use the Rafflecopter at the end of the post to enter. Heat oil in a large pot over medium heat. Add onion, apple, garlic and ginger. Cook until softened, about 5 minutes, stirring occasionally. Add zucchini, curry paste, salt and pepper. Cook until the zucchini begins to softened, about 5-8 minutes, stirring occasionally. Add the broth and bring to a boil. Add the rice and stir. Reduce the heat and cover. Cook for 8-10 minutes or until the rice is tender. Puree in a blender or using an immersion blender. Adjust seasoning to taste. Pollo Arroz .....a chicken and rice dish I learned in Costa Rica a few years ago! Basmati or Coconut rice with a tasty Curry!! I love Shrimp Fried Rice! Chicken Fried Rice is great. Bailey Dexter Our family loves rice, done in many recipes, but my kids really love it when i use it in cabbage rolls but using different favours with the sauce to give it a twist! I love rice with butter chicken. I've never even heard of curry paste! What is it? We have a brand here called Patak's. I don't know if you get it in the States. It is called Mild Curry Paste. I've never used Curry Paste before but want to try it out in more things. We loved the soup but the kids didn't like it. Sometimes I find before they even taste something they will have decided they don't want it. I love saffron rice - with anything! I never make it but when I have the opportunity to eat it I love paella. My family loves steak fried rice.